Are you interested in the business and finance industry? Then a CIMA qualification would be perfect for you. CIMA stands for the Chartered Institute of Management Accountants. They are an international professional body for management accountants. 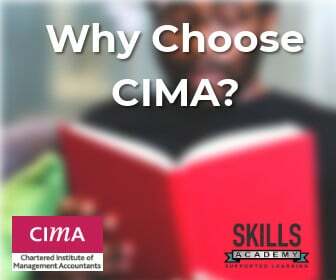 CIMA ensures that you will be getting an education from the some of the best professionals in the world today. CIMA is recognised internationally for their qualifications. Their qualifications can increase your job opportunities and salary, and a CIMA qualification is a great investment. Here are more reasons why you should choose their courses. CIMA creates many career options, locally and internationally. Gain expert knowledge in business and finance. Become a CIMA member and interact with other professionals in the industry. You’ll develop strategic decision-making skills to use in a company. You can start your own business or work for an employer. 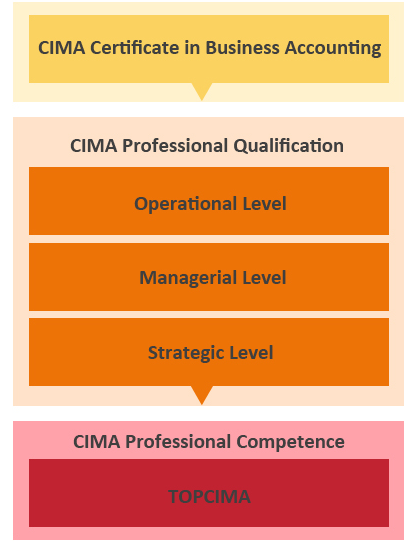 The certificate level gives you an entry into the CIMA Professional Qualification, as it links directly to the Professional Qualification. You can add the letters CIMA Cert BA to your CV once you finish the course. The Operational level is the first level of the CIMA Professional Qualifications, complete this level and you will be awarded the CIMA Diploma in Management Accounting. The Management level is also known as the gateway level and is the second level of the Professional Qualification. When you are done with this qualification, you will be awarded the CIMA Advanced Diploma in Management Accounting. The Strategic level is the final level of the professional qualification. 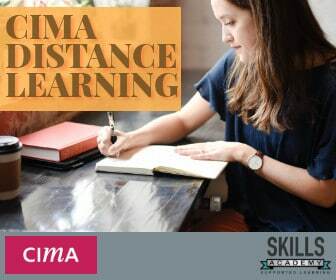 When you are done with this course, you will have to complete three years of work experience, then you can become a CIMA member and a holder of the qualification letters CGMA. How Many Courses Does CIMA Offer? They offer four courses that you can study. Their qualifications are divided into four levels. After successful completion of a CIMA level, you will receive your certificate. The levels are there to identify where you are with your studies especially to employers. Let’s have a look at the different levels. What are the Requirements to Study CIMA? Read, write and understand English. They present their courses in English. You have to be 16 years and older, and you need to have Mathematical skills. Here are a few examples to see where you fit in. Completed matric? Great. You can start off with the CIMA Certificate in Business Accounting. It gives you a clear understanding of the world of business. Upon completion, you can use the letters CIMA Cert BA after your name, on your CV. Are you currently studying? You can still do a CIMA course. Studying your degree and a CIMA qualification will increase your chances of getting employed. Add ‘CIMA student’ to your CV. It will show that you are committed to your studies and want to learn more. Distance learning gives you that freedom to study anytime. Study at your own pace and still provide for your family by working. You can decide when you want to write your exams. If you had previous tertiary training, exemptions allow you to finish your qualification sooner. That means that you don’t have to repeat work that you already know. Only CIMA can approve your exemptions. Your college cannot do that. How do you Apply for Exemptions? You firstly have to be registered as a student before you can apply for exemptions, then you need to send your documents to CIMA to prove that you have that qualification. Your application can be sent via fax or email. Do not send your original documents, as CIMA cannot guarantee its safe return. Follow these steps to apply for an exemption. Email your documents to documents@cimaglobal.com (Graduation Certificate, a letter from the University or transcripts). They will let you know within 72 hours if they have got your application. It takes up to 20 working days for them to get back to you. Accept or Decline the exemption offered. Do Everyone get an Exemption? No, CIMA is very careful about who gets exemptions. Before they approve it, they make sure that their students understand the work. Here are a few things listed that you need to know. All the documents submitted must be in English. CIMA will contact the college where you have studied to make sure that your qualification is real. You cannot apply for exemptions if your qualifications are older than ten years. Work experience does not count towards exemptions. After you’ve declined the exemptions but you fail the course, you cannot reapply for that exemption. You cannot get exemptions for high school subjects. You can register directly on the CIMA website. You can also register with a training provider, like Skills Academy. Contact us today on our toll-free number 0800 39 00 27 to assist you with your registration and more information.